So dear reader if you are an avid follower of my social media sites, you will be aware that Hubby and i have just had 10 days away, enjoying an Arabian adventure. I say adventure very loosely as we stayed in 5* hotels and honestly the most adventurous thing we did was have more that 2 alcoholic drinks in one night! The first four days were spent in Dubai, as you know this was emotional from last weeks post, but after I wept over the remains of my chicken dinner, we started to get excited about holiday part 2…..Oman. When we arrived in Kuwait we had a little list of places, that we wanted to visit whilst in the region and Oman was fairly high on the list. Well established desert friends had raved about it and last September we took the plunge and booked for the EID break, completely unaware of what this would really be like. we aren’t desperate drinkers here but when you live in a dry country, you enjoy it while you can. The drive to the Shangrila Barr Al Jissah Resort (the only place to stay in my opinion and of fellow guests who had sampled the Ritz Carlton and The Chedi) is 40 minutes by taxi out of Muscat. The drive becomes no issue as soon as you pull out of the airport you see what a stunning place Oman is. The palm lined roads are banked either side with beautiful landscaping and everything is spotless. All in all a complete contrast to our desert home. The thing that strikes me the most is that the are very few high rises, even newer buildings seem to be sympathetic to the traditional Omani architecture, blending everything together in an authentic way. Passing the Grand Mosque with all it beauty and grandeur, right down to the symmetry of the perfectly manicured rose bushes and pathways, the Opera houses glistening only highlights the cultural goings on in the city. When this was our first impression of the country they had us about 10 minutes down the road. The further into the journey you go, leaving old muscat, you start to climb and the stunning mountainous terrain unveils itself. On our first visit we had no idea that this was the case, we are so used to the flat desert of Kuwait and the Emirates that it came as a complete shock. You are transported back to the days of old, when explorers discovered Arabia for the first time, and I have expected the English Patient to fly above us as he unearthed this breathtaking scenery. The resort is made up of three hotels and we choose to stay at the incredible Al Husn , the newest of the three perched like a castle over- looking the curve of the resort’s cove. I may add at this point it is also adults only, so Miss Judgepants can get on her high horse and ride away as I sip my glass of bubbles in the tranquil surroundings! Hubby asking me where the gold and myrrh is! This aroma not only epitomises this hotel but the country, as its traded here for over 5000 years, its a must purchase on your way home and will be one of smells that will transport be back to Oman for years to come. The hotel decor is typical of the region, its gold its flashy and nothing is “under done”. Only in the Middle East would you get gold plated palm trees and flamingos, standing in a gold floored river in the lobby! The view from our room is spectacular and not only is there room to swing a cat but also 3 or 4 large tigers. We feel at home, unpacking into the walking wardrobe the size of our first flat in Jersey! Kicking back and enjoy the fruits of our Duty Free labours, we wait for the obligatory and complimentary afternoon tea. Out on the terrace, over looking the stunning vista, the hotels nestled into this spectacular back drop, it almost seems super imposed. We sip on our tea and nibble at miniature scones and think could this get any better? It maybe noted at this point we also promise that we aren’t going to have this afternoon tea everyday, but quite frankly we are lying to each other, because everyday at 4pm, we are there saying we’ll give it a miss tomorrow. Another of the rather delightful little extras is the evening complimentary drinks out in the courtyard. There is something about this place that is very special. The atmosphere of the hotel is mysterious and tranquil, the staff are welcoming and every small detail has been thought of. I love that on the second day, the pool guy is setting up our “usual” spot and knows that we don’t like the umbrella (we are hard-core desert sun bathers now) and chirps “see you tomorrow” as we leave for our tea and cakes. We are seated at the same table for breakfast and quickly they know we like gallons of black coffee each morning. I know staying in the resort we don’t see much of this spectacular country but every time we become too relaxed to move. The food is sensational and boasts multiple restaurants on site and its not that over catered, bland hotel food, it’s fantastic. We indulged in Italian (twice), Moroccan, Tapas all enjoyed whilst looking out across the moonlit bay and a chilled glass of vino. I’m sorry but in my book that’s pretty much perfect. The only downside to the whole trip was that it came to an end. Hubby and I walked out of there uber relaxed and grateful for some quality, out-of-the-desert time together. To all my desert gals, who are looking for somewhere different, that isn’t the glitz of Dubai, I couldn’t recommend this authentic Arabian get away enough. And for the folks back home and my readers round the world, seriously consider Oman as a destination. It may seem like one of those random places, but there are good links to London and Europe and you wont be disappointed. There is something for everyone here, for the environmentalist there are whales, dolphins and turtles to be seen in a natural habitat, for the sporty type there is a tour Oman cycle challenge, hiking and water sports galore and for those who just like great weather, kicking back with a book and a cold beer then this is the place to come. What a fascinating place to visit! Love your descriptions! Glad to read about your exotic adventure in here. You do not get to read about Oman so often. I am sure it is stunning given that you have returned so many times. It is a place I dream of visiting. I´ve recently watched a documentary about Oman and was quite surprised it´s so “touristically unknown” across the globe! And then I read your post and got even more interested to visit it one day! P.S This note about the desperate drinkers made me laugh so hard 😀 Love your sense of humor, it´s always interesting and fun to read your posts! Wow what an exciting adventure! A girl in my high school was from Oman and got to hear about all the exciting places saw beautiful photos. Love the addition of the photos, they’re gorgeous! Thank you so much for joining #FlyAwayFriday, see you in 2 weeks! Gorgeous!! Oman looks absolutely incredible!! I’m so glad you guys had such a great trip! 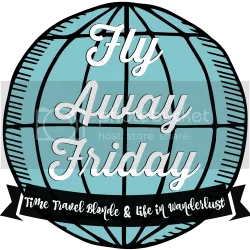 Thanks for sharing on FlyAwayFriday!! We want to go back to Oman next year and undecided where to stay – you’ve given us something to think about. Thanks for joining the great middle eastern hotels 2016 round up – hope you can join next year.